In a crucial diplomatic victory for the Indian government, the International Court of Justice at The Hague has stayed the execution of businessman and former naval officer Kulbhushan Jadhav. The court also reminded Pakistan that its order is binding, pending the final decision. India has maintained that Jadhav was abducted from Chabahar, Iran, and sentenced to death in a farcical trial by a secretive military court. While Jadhav was arrested on 3 March, 2016, Indian officials were only informed on 26 March 2016. Pakistan claimed that Jadhav is a R&AW operative, and sentenced him to death on charges of espionage, sabotage and terrorist activities. Announcing the order on Thursday in a public sitting, in the presence of diplomats from both India and Pakistan, Ronny Abraham, the president of the ICJ, told the Pakistani government, that it “must take all measures at its disposal to ensure that Mr Kulbhushan Sudhir Jadhav, of Indian nationality, is not executed pending a final judgment of the court in the Jadhav Case (India v. Pakistan)”. The unanimous order by the court also stated that “the Government of Pakistan shall inform it of all measures taken in implementation of that order”. It further decided to “remain seized of the matters which form the subject of the order”, until it has rendered its final judgement. Prime Minister Narendra Modi, while expressing satisfaction on the order, congratulated senior advocate Harish Salve, who represented India at The Hague, External Affairs Minister Sushma Swaraj and the team of officers at the MEA. Swaraj, meanwhile, tweeted about how the order had come as a relief to Jadhav's family, and how Indian government under PM Modi would leave no stone unturned to save Jadhav. Gopal Baglay, spokesperson for the MEA, recalled Swaraj's assurance to Parliament that the government would do everything possible to ensure justice for Jadhav. He called the order “an essential first step” in ensuring justice for Jadhav, against violations of his rights and international conventions by the Pakistani side. Baglay also hoped that Pakistan would abide by the court's order and said that the MEA hopes the Pakistani authorities have heard president Abraham say that the order is a “legally binding international obligation”. On the question of consular access to Jadhav, Baglay reiterated that India had already made 16 requests, and said it was up to Pakistan to decide on them. Attorney General Mukul Rohatgi, meanwhile, explaining how the entire judicial process leading to the sentencing was a charade, indicated that this order was binding on both countries. He also expressed hope that the final judgement would also come India's way and, “we would be able to get Jadhav home”. Frustrated by Pakistan's continued refusal to grant consular access to Jadhav for over a year, India, in a surprise move, had moved two petitions in the ICJ on 8 May. 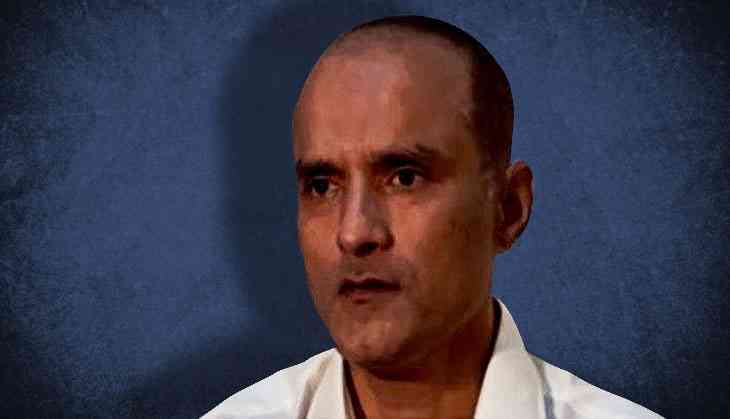 While the original application accused Pakistan of “egregious violations of the Vienna Convention on Consular Relations”, sensing an immediate danger to Jadhav's life, India, in a separate request, asked the court for indication of provisional measures, “pursuant to Article 41 of the Statute of the Court”. According to the press statement put out by the ICJ, in its application, India explained that the alleged violation of the Vienna Convention by Pakistan “has prevented India from exercising its rights under the Convention, and has deprived the Indian national from the protection accorded under the Convention”. India also told the court that Jadhav would be executed unless the court intervened through provisional measures. In its application, India requested the court to direct the Pakistani government “to take all measures necessary to ensure that Mr Kulbhushan Sudhir Jadhav is not executed”; and that it must “ensure that no action is taken that might prejudice the rights of the Republic of India or Mr Kulbhushan Sudhir Jadhav with respect of any decision th[e] court may render on the merits of the case”. - Relief by way of “immediate suspension of the sentence of death awarded to the accused”. - Relief by way of “restitution in interregnum by declaring that the sentence of the military court arrived at”, in brazen defiance of the Vienna Convention rights under Article 36, particularly Article 36(1)(b), and in defiance of elementary human rights of an accused which are also to be given effect as mandated under Article 14 of the 1966 International Covenant on Civil and Political Rights, is violative of international law and the provisions of the Vienna Convention. - “Restraining Pakistan from giving effect to the sentence awarded by the military court, and directing it to take steps to annul the decision of the military court as may be available to it under the law in Pakistan”. - “If Pakistan is unable to annul the decision, then the court should declare the decision 'illegal', being violative of international law and treaty rights, and restrain Pakistan from acting in violation of the Vienna Convention and international law by giving effect to the sentence or the conviction in any manner, and directing it to release the convicted Indian national forthwith”. ICJ president Abraham, announcing the unanimous order of the 10 judge bench, started with the issue of whether the court had jurisdiction in the matter, since Pakistan had reasoned otherwise. The court recognised that both India and Pakistan were in a dispute on the facts of the case, and on the question of granting consular access, since Pakistan had been using the 2008 bilateral agreement on consular access as an alibi to not grant access to Jadhav. The 2008 agreement had a point on how, in case of political and security related cases, the question of consular access could be decided on the merits of the case. Salve, in an earlier hearing, had told the court that India doesn't rely on the agreement in this case. The court also observed that the Vienna Convention doesn't exclude those found guilty under terror and espionage, as Pakistani counsel Khawar Qureshi had argued. The last day for Jadhav to file an appeal against the death sentence is Friday, 19 May. Baglay said like ICJ president Abraham, the Indian government is still unclear on the status of the appeal. Earlier, Jadhav's mother had moved an appeal through the Indian High Commission in Islamabad. The fate of that is also unknown, despite Pakistani claims that Jadhav “would be provided every opportunity and remedy available under the law to defend his case”.